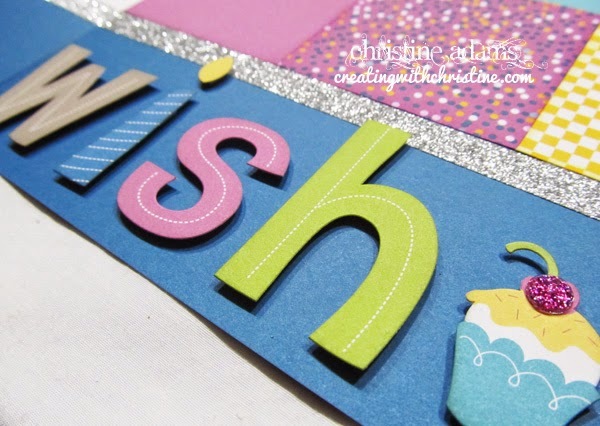 Creating with Christine: Confetti Wishes Club Layouts! We had such a great time at my Stonewall Resort Crop! And I have a few things to share about that, but first I need to get a few things posted. First up is the layouts my club will be doing next month using our festive Confetti Wishes papers! 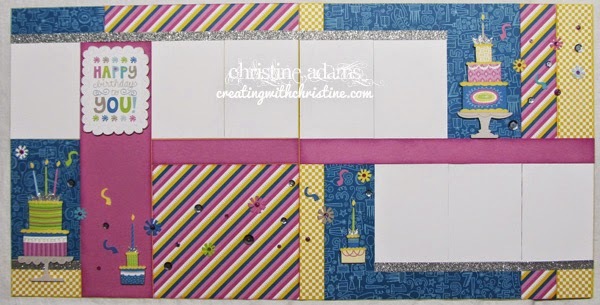 These layouts were inspired by the fabulous Susan Williams! She designed a kit to make FOUR layouts out of one paper pack. I've pared it down to just two to keep it simple for my club. I'm hoping to start a new group next month and I don't want it to be overwhelming for them! 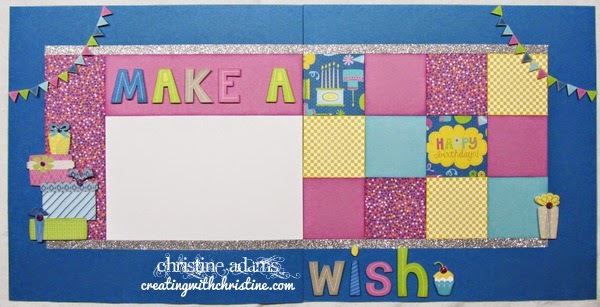 The first layout it titled Make A Wish and featured a pattern taken from the Make It From Your Heart Vol. 1 book page 14. I used silver shimmer trim and purple glitter gems to spice it up a bit! And you could easily add two 6x4 flip flaps to the left page if you wanted! 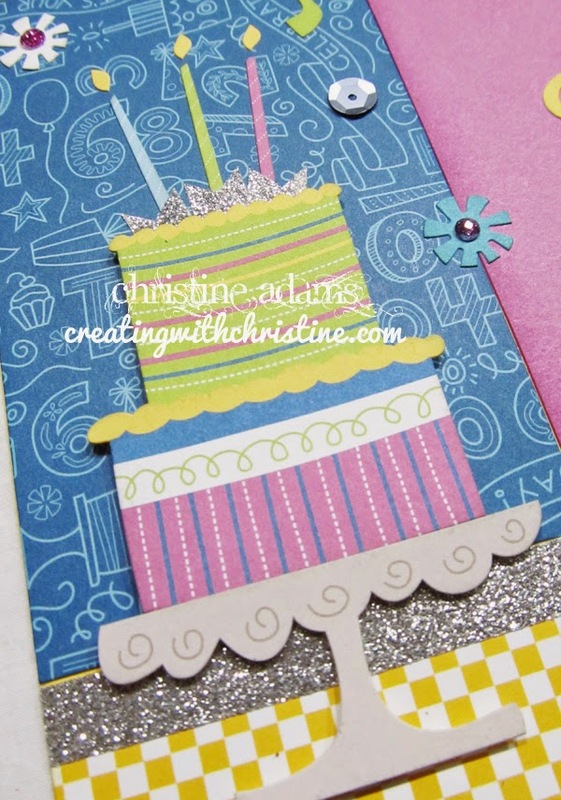 The second layout is titled Happy Birthday To You and featured a pattern from our Magic book page 14. I added silver shimmer trim, purple glitter gems and some silver sequins on this layout. All of the 8 photo spots are 4x3 - perfect for the 4x3 flip flaps! Or you could put 4x6 photos and flip flaps over two photo sections! The paper in this kit is bright and festive and the stickers are so much fun! I love building the different layer cakes and stacking the presents. There are enough stickers and paper left over to easily create a third layout or a few birthday cards! But I have to move on to my next project! I'd love to see what you or my club members come up with! Want to join the club and join the fun? Contact me for more information!